Au Revoir Les Enfants wasn’t just one of Louis Malle’s best works, it also remains as one of the finest war time dramas ever made. Interestingly, as the name suggests, instead of being dominated by adults, the principal protagonist here was a kid, with the story taking place at a Catholic boarding school in Naxi-occupied France. Julien, one of the boarders there, is an 11-year old kid who is outwardly cocky but a confused soul within grappling with his hormones and besotted with his pretty piano teacher (Irene Jacobs). Unbeknownst to him, the school’s seemingly strict and orthodox principal has been hiding Jews in order to prevent their persecution at the hands of their country’s ruthless occupiers. Jean, a shy and soft-spoken new boarder, happens to be one such closet Jew residing under a false identity. Though their acquaintance doesn’t begin on a soft pedal, before long Julien and Jean become close friends; and though some initial complexities arise when Julien inadvertently stumbles upon Jean’s true identity, their bond grows even stronger after that. 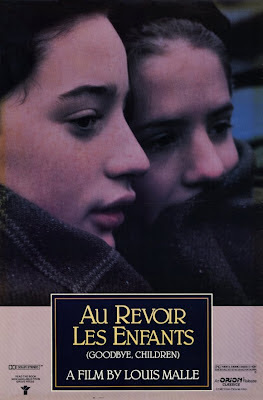 However, as expected, tragedy strikes before long, and the film ends on a heart-wrenching note with the young but fast maturing Julien finding himself a helpless bystander to history. Despite dealing with a subject as devastating as this, Malle succeeded in keeping emotions under control, thus giving a wonderfully understated feel to the proceedings. The film was semi-autobiographical in nature and thus a deeply personal project for him, and his carefully controlled emotions finally broke through in the heartbreaking monologue of the protagonist that this wonderfully enacted coming-of-age film ended with. Kishore Kumar Ganguly, better known as Kishore Kumar to his legions of ardent fans, received fitting commemoration through this documentary. Satyajit Ray and he shared a long-standing friendship (he even sang a couple of songs for Ray’s films – most notably, the iconic “Ami Chini Go Chini” in Charulata); consequently, Ray’s son Sandip was best placed to try and capture the life of the eccentric and versatile genius who wasn’t just a marvelous (albeit untrained) singer with an incredibly fluid and mellifluous voice, but also a brilliant comedy actor, a talented composer, and a filmmaker too. 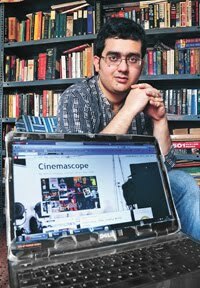 It is filled with interviews with a number of who’s who of the Bombay film industry. His contemporaries, like the great composer R.D. Burman (for whom he sang innumerable unforgettable songs), former superstars like Amitabh Bachchan, Rajesh Khanna and Dev Anand (who all lipsynced to a plethora of marvelous Kishore numbers), fellow legendary singers like Lata Mangeshkar and Asha Bhosle (Kishore sang numerous memorable duets with them), etc. 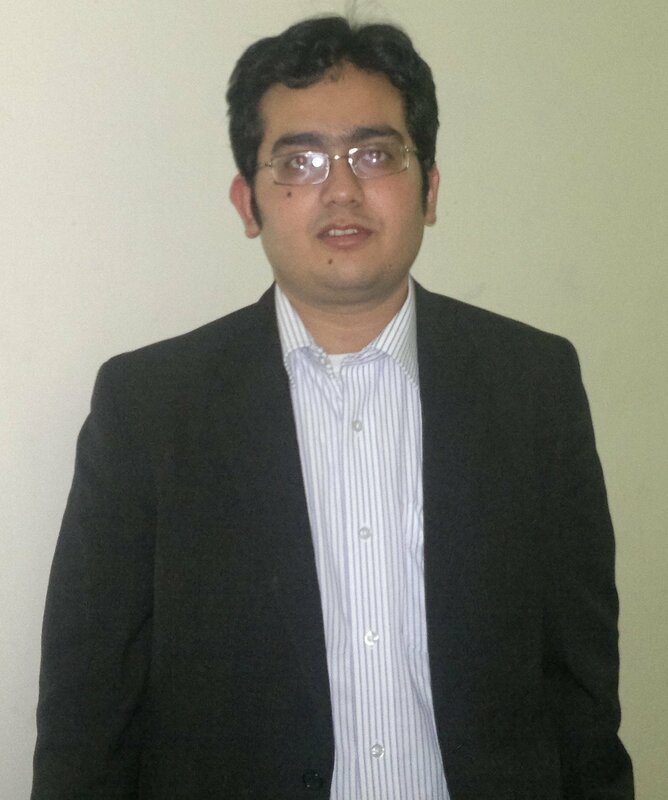 have shared some delightful anecdotes about the mercurial artist. Even Ray spoke about his memories of Kishore. One of the most touching aspects about the docu happened to be being apprised of the kind of relationship Kishore shared with S.D. Burman and the role the legendary music composer played in shaping his career. It is also filled with footages covering nearly his entire career in the film industry. On the flip side, the production values weren’t good, and it was more of a vanilla, straightforward docu without any notable creative decisions (apart from a recurring monologue by Kishore that set the tone for it). 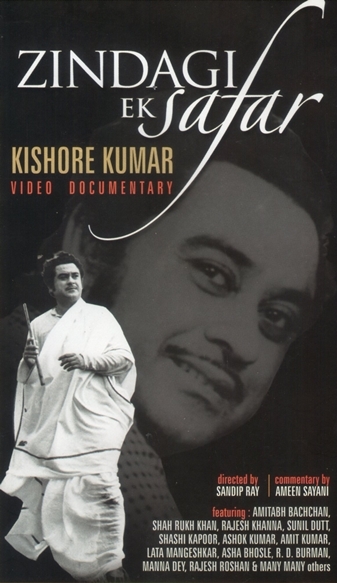 But, that said, this is certainly a treasure trove for all Kishore Kumar aficionados. 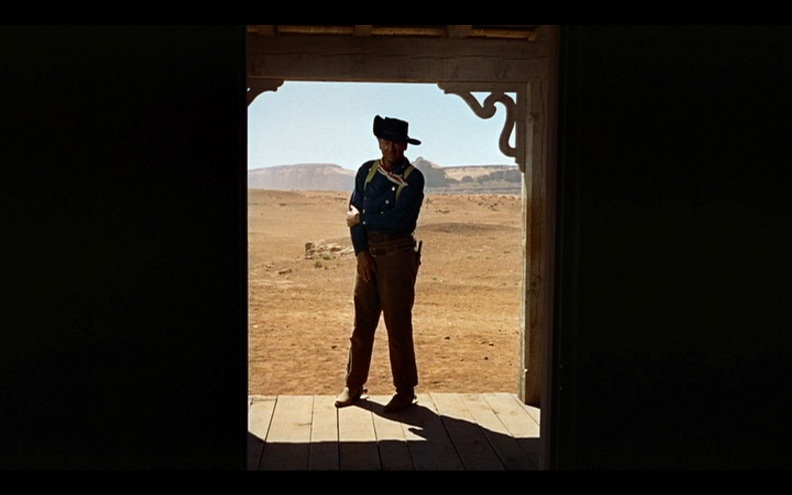 All things considered, The Searchers remains as possibly the greatest masterpiece of John Ford. 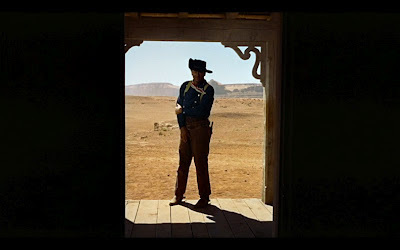 This was also the movie that begun the fascinating transition from the rather straightforward heroism of earlier Westerns to their darker, more ideologically challenging and revisionist counterparts, and consequently irrevocably reshaped this quintessential American genre forever. The movie had John Wayne playing the role of Ethan Edwards, a laconic former Confederate soldier with a twisted moral code. He returns to his brother’s residence from the frontier after years of absence; his homecoming, however, is shortlived, as Scar, a ruthless Comanche chief, massacres his brother’s family, and abducts their younger daughter Debbie. The major part of the film is about the five-year odyssey that Ethan undertakes with single-minded focus in his quest for revenge and for rescuing Debbie, with his brother’s adopted son in tow. Ethan’s unflinching hatred towards Indians which borders towards racism (deliberately left unexplained by Ford), his propensity for violence, and his unpredictable reaction upon finally stumbling upon Debbie, now grown-up (played by Natalie Wood), make it impossible to qualify him along the good-bad divide or in any simple terms, and make him seem anything but an all-American hero. Wayne’s towering performance was superbly aided by the film’s enthralling visuals, iconic framings and stunning landscapes – the harsh Mountain Valley locales provided for a terrific allegory to the inner demons of the deeply ambiguous protagonist, with this incredibly influential classic serving as an emotionally complex and subtly bleak meditation on the genre itself. Soon after directing Knife in the Water, the filmmaker Roman Polanski shifted base to England where he made three movies, the first of which was Repulsion, a cornerstone in psychological horror. 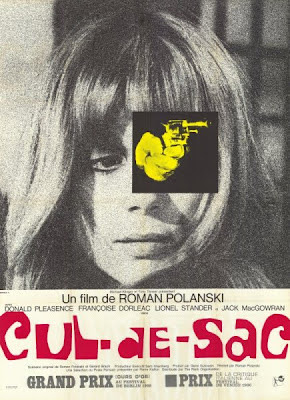 He followed that up with Cul-de-Sac, a brilliant black comedy concerning a bizarre manage-a-trois between David (Donald Pleasence) an effeminate and cuckolded middle-aged man, Tess (Francoise Dorleac), his svelte, sultry, aggressive and much younger wife, and Dickie (Lionel Stander), a brutish thug on the run. Owing to a botched job that has left his Chaplinesque partner Albie (Jack MacGowan) shot in the gut and the two stranded in the middle of nowhere, the menacing Dickie takes refuge in an idyllic mansion overlooking the sea by holding its occupants, the above mentioned couple, as hostages. 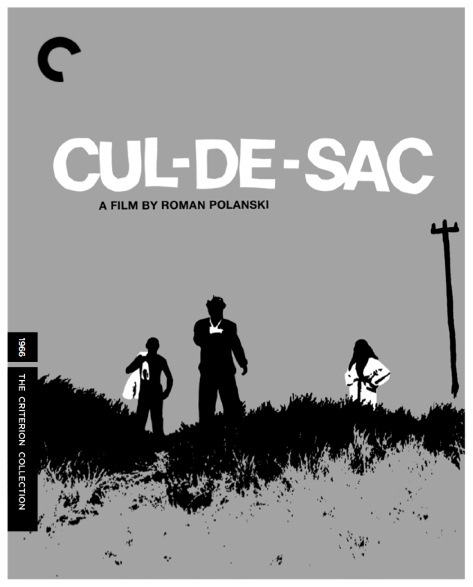 Exquisitely shot in crisp black-and-whites and filled with a host of disconcerting extreme close-ups and convoluted camera angles, the film is filled with the kind of dark nihilism and twisted portrayal of human behavior that the maverick Polish auteur was both renowned and notorious for. None of the characters in the movie are what one might consider as “normal people”; rather, their demeanours are cartoonish and oftentimes bordering on the excesses, thus making their characterizations unique and hilarious. Comprising of a taut script, an excellent score, and superb performances, the movie’s tar black humour, grim worldview, latent violence, and edginess, are recipe for a relentlessly bleak and disturbing yet incredibly gratifying cinematic experience. 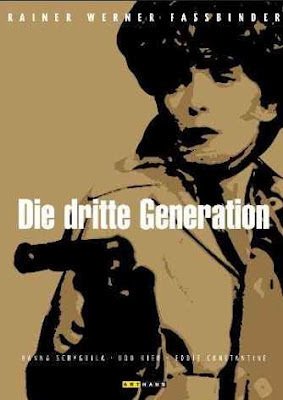 Sandwiched between The Marriage of Maria Braun and Berlin Alexanderplatz, two of his most internationally renowned films, The Third Generation was a searing and experimental black comedy by German New Wave auteur F.W. Fassbinder. 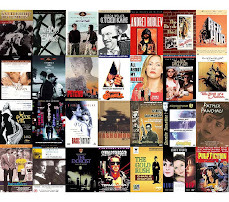 A personal project for him, the film was marked for its deeply political content, scathing and subversive tone and acerbic humour; consequently, not did Fassbinder have to finance the movie of his own, it also faced considerable hostility upon its release. Cheekily divided into six parts with each beginning with quotes purportedly taken from scribblings inside public toilets, the movie is about the mundane lives of the members of a West German underground revolutionary cell, and their rather futile and oftentimes amusing attempts at terrorism to bring the State to its knees. The group includes a motley crowd of idiosyncratic, unspectacular and everyday characters who meet at one the member’s apartment to plan their activities. The group members are neither ideologically active nor politically astute – they are instead the hapless outcome of their fierier and more idealistic predecessors, and their goals are thus not a consequence of any egalitarian or earth-shattering ideologues. Ironically, the anti-capitalistic quote by Schopenhauer, “The world as will and idea”, forms the recurring motif that sets in motion their anarchic activities that inevitably end in complete disaster for them. Darkly comic, intellectually challenging, and deliberately overplayed in order to impress upon the ludicrosity of the proceedings, the film’s most memorable sequences include the hilarious robbing of a bank, and a gleefully absurdist climax. 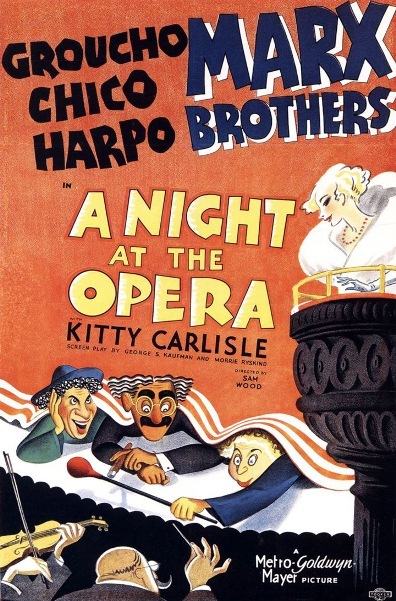 Marx Brothers shifted their allegiance from Paramount to MGM with A Night at the Opera, their most commercially successful venture. This was also the first film not to feature Zeppo, the fourth Marx, and thus the team of brothers officially became a trio instead of a quartet. Unlike the incredible and anarchic political satire in the garb of high farce, viz. Duck Soup, arguably their greatest artistic accomplishment, this was a rather apolitical affair and more in the tradition of “pure” comedy. The film has Groucho as a wily promoter who is after the money of a wealthy patroness who is desperate to make her way into elite social circles. An opportunistic German businessman signs a pompous tenor for his debut in the US, much to the dim-witted lady’s delight. Meanwhile Chico has become the manager of a talented tenor looking for a break, and illegally boards the ship bound for America. With the laconic Harpo thrown in for good measure, the Marx brothers create the sort of pandemonium that only they could, and the hilarious berserk that ensues makes a mockery of the best laid plans for those in charge. Groucho’s trademark one-liners, wry humour, straight-faced witticisms and cynical retorts made for some of the funniest banters. He, along with the zany Harpo and the eccentric Chico, made this madcap and irreverent comedy a delightful watch. Some of the most memorable sequences include, Groucho and Chico’s absurdist debate over a contract, hordes of men and women randomly being invited into Groucho’s tiny cabin in the ship, a hilarious dinner order, the fooling of an investigating officer in a hotel room, and the gravity-defying rampage in the climax.